Dedicated to the skater wanting a better deck. Skateboard factory in the USA keeping the prices down and quality up so you can keep skating. Solid wood pressed right here in the USA. Manufacturer of high quality skateboard decks. 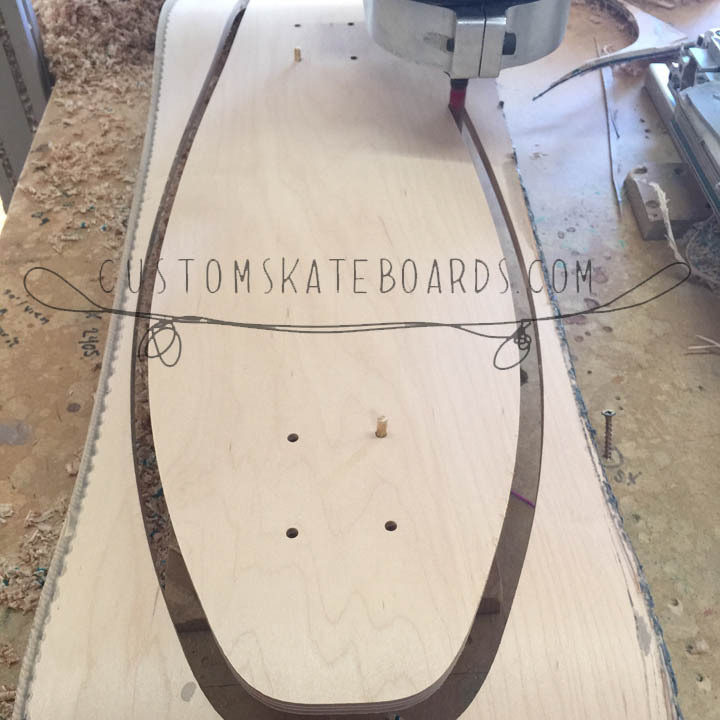 Check out some of the photos of our shop building decks for the skateboard industry. We do a ton of reserch and development in order to keep your cost down. When we find a way to save money we pass it on to the consumers. Feel free to let us know how we can lower the price way below our competitors and keep consumer confidence that with a lower price then the rest that the decks are still better then the rest. Customskateboards.com will always have a better price because all the decks made here come straight out of the skateboard factory and shipped directlry to you. Buying from a distributor will only raise the cost so buy factory direct and save big on your next project.